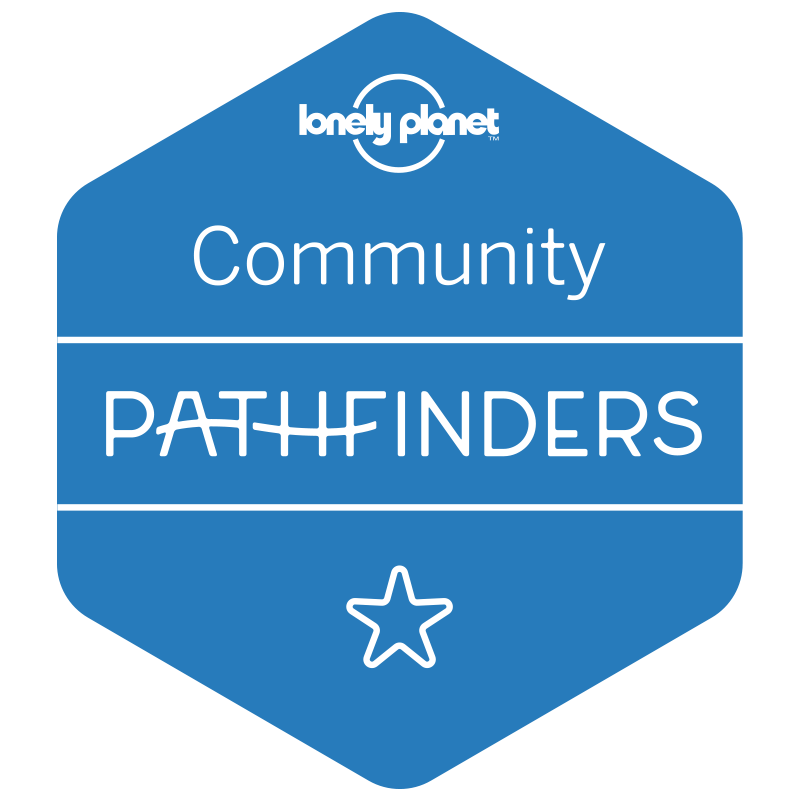 You are here: Home / Blog / What’s ‘Nut’ To Love? Now that I am no longer on contest prep, I get more food in my life. In most cases this would be SUPER exciting and things like peanut butter on toast, protein bars, and other goodies would be consumed in excess. Most competitors would be in their glory with a 20o carb day like I just had today. Unfortunately I don’t get to eat any of those tasty treats due to my Hashimotarian problems. I am constantly on the lookout for new things that I can eat seeing how I am now down to about 15 things. Peanuts and almonds are even on the ‘Donloree shouldn’t eat this” list! As you all know, I have lust problems when it comes to peanut butter. 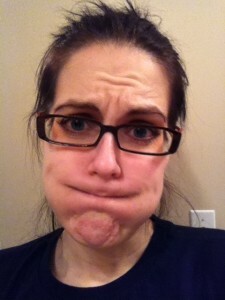 If peanut butter was a man, my husband would have to be concerned…VERY concerned. 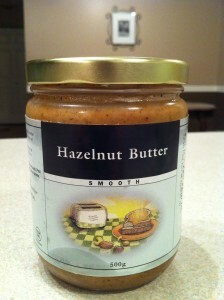 Apparently I need more panache, so I opted to try hazelnut butter. Looks tasty, and so much of it to eat! After spending 20 minutes stirring the nut butter and getting oil all over the counter and my hand and creating a mess of epic proportions, it was edible. The first bite was tasty! But then the next day it wasn’t…it actually made my stomach churn. My stomach is churning just thinking about eating it. I should know better than to buy the large container when trying something for the first time! And it remains really soupy even when refrigerated. 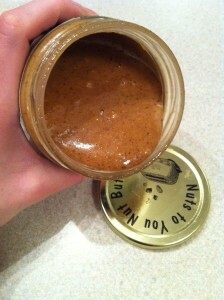 Umm...nut butters should solidify when refrigerated, right? Am I the only one that thinks this is wonky? How am I supposed to sneak small amounts of it when it won’t even stay on a spoon? I suppose that makes it a honest kind of nut butter, but I just want something super tasty that can be nibbled on in small quantities at 10 pm when I am supposed to be in bed and not eating the nut butter straight from the jar. I need something to overcome. 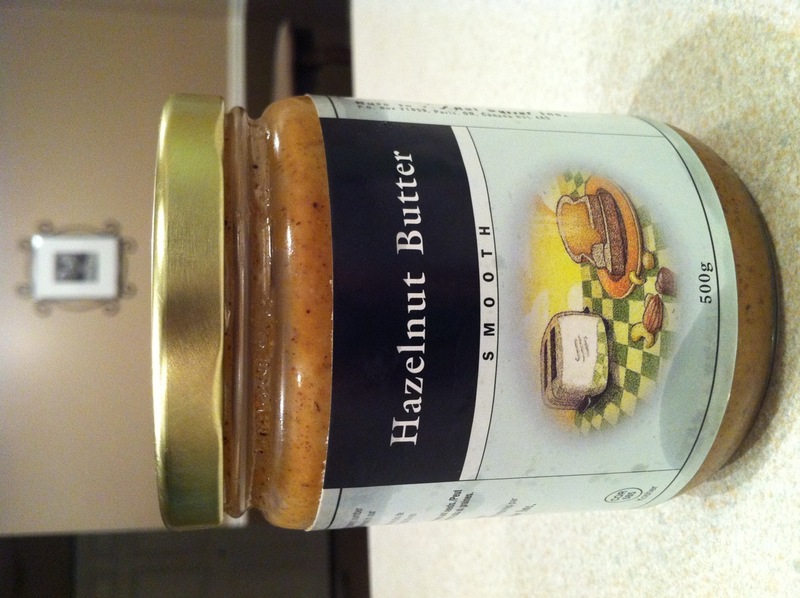 The odd tasting hazelnut butter is just not enough of a temptation for me. Now what is going to be my food nemesis? If you live without a nemesis life has the potential to get rather boring! Who has a fabulous nut butter that you can’t stop eating and you have hide from yourself? Let me know so that I can start torturing myself at my house with it! I LOVE THAT STUFF! Try adding some cocoa in a bowl and mixing it up and using it that way. OMG I love hazelnut anything. Your site looks amazing. I’m surprised your hazelnut butter tastes so rancid. Maybe it is beyond the date. I don’t like any nut butters that much. Almond! Soooo good. Second to my love of PB. I learned the hard way with nut butters. I simply cant have it in my house. I can not be trusted with any nut butter, especially almond butter. One tablespoon ends up being 10 spoonfulls. Oh how I miss it though! It is delicious. I have been doing ok with these nut butters, but you never know….! I lack control some days that is for sure. 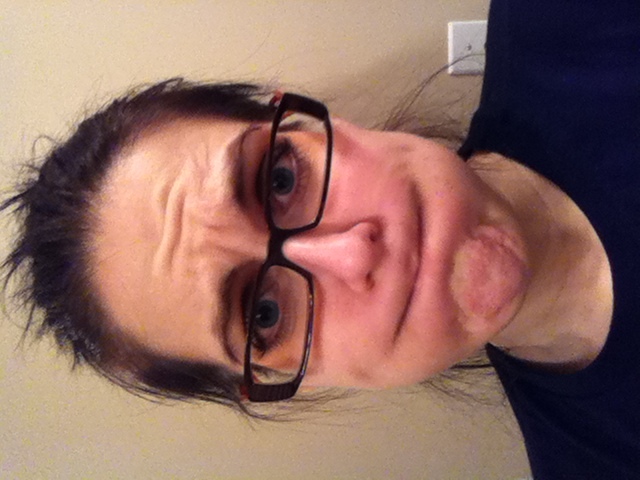 I just have to have something to give up when it comes to contest prep…does that make sense? 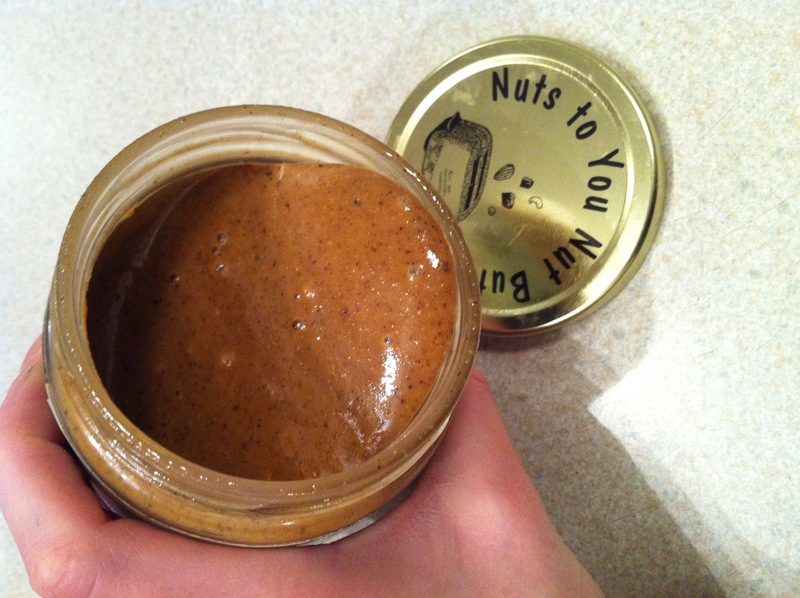 and Peanut Free Nuttzo (for the super chunky stuff)…but it’s a splurge at $10 a jar!! Also, this is a dangerous website, but they have a TON of different types of nut butters! I’ve had this – it’s NOT peanut butter, but the consistency is very similar and taste is somewhat there. On a spoon, though – not sure how that would taste. A few people have told me about this peabutter…I am intrigued!